Bhubaneswar:The BJD has won almost all by-polls to various municipalities and ZPs and other PRI seats held on January 16 and 19, and it all indicates that 4.5 crore people of the State continue to have faith on the ruling party. In the by-election for the Baleswar Zilla Parishad Zone-26 member post held on Friday, the BJD registered an impressive victory trouncing its nearest rival, the BJP, by a margin of over 4,000 votes when the results were declared on Saturday. BJD candidate Kamal Kumar Sahu defeated Parsuram Parida of the BJP. 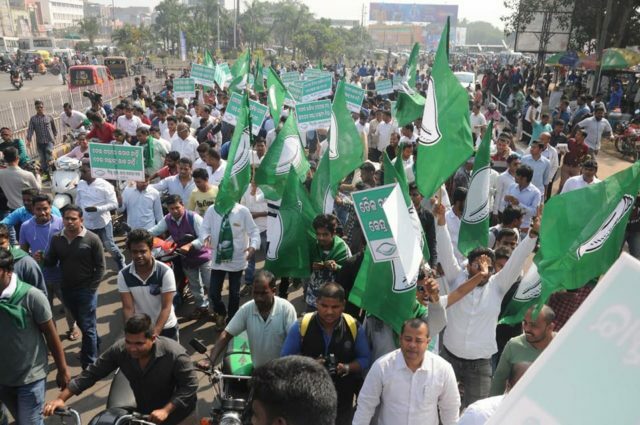 BJD supported candidates won the Badaambila panchayat Samiti seat in Ali and Penthapala Panchayat Samiti seat by grabbing 1225 and 1,461 votes, respectively. BJP supported candidates went down to third positions in these seats. While by-poll was held to 16 wards in Betonati block in Mayurbhanj district, BJD own 12 and Congress three but BJP got only one seat. BJD supported candidate also won the Dasarathapur block’s Nijampur Samiti Member seat with 1700 votes. BJD-supported sarpanch candidates won in the Khallikote block’s Khajapalli and Sheragarh block’s Kumarpani and Baramundali GPs. 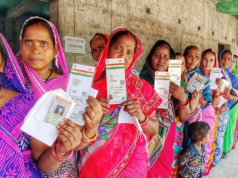 By-polls held to Ward-10 in Angul Municipality, Ward-6 in Paradip Municipality and Ward-17 in Pattamundai Municipality have been own by the BJD candidates. The election assumed significance as the seat was with the BJP and it fell vacant after the incumbent BJP ZP Member Binay Das died in a road accident. 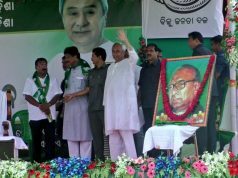 It was also the first electoral battle in the district the BJD faced after Baleswar MP RK Jena became the party’s district president. Out of a total polling of 26,856 votes, the BJD polled 13,499 and the BJP and the Congress got 9,382 and 3,187, respectively. As many as 534 votes were invalid. In the last ZP elections, the seat had been won by Binay Das by a margin of over 3,000 votes defeating his nearest BJD rival. 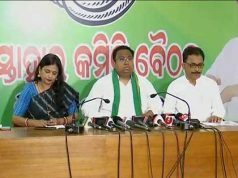 Another important aspect of Friday’s by-election was that the BJD gained a comfortable edge over the BJP and the Congress in all the seven GPs which went for the poll. The GPs Patrapada, Srikona, Chandipur, Parikhi, Hidigaon, Ranasahi and Sargaon.